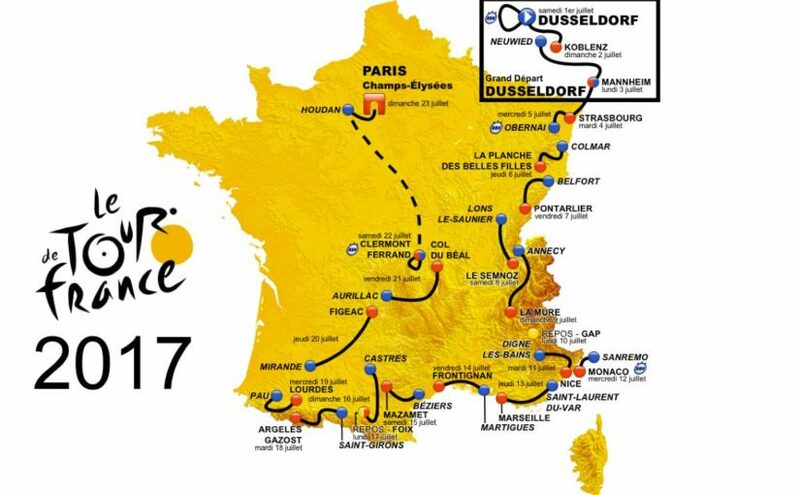 Tour de France 2017, the 104th edition’s route has been revealed by the ASO, the organizer of the French grand tour. 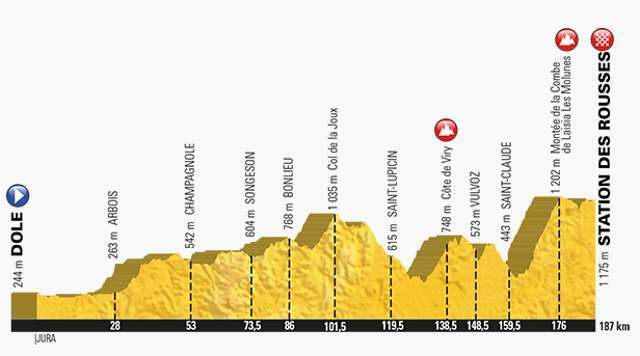 This year, there will be less time trials (no team trial and a short 13.8 km ITT on the opening day and another 23 km on the penultimate stage, total of 33.8 km (1)) and many famous climbs not included the route, for example there will be no Alpe d’Huez, no Mount Ventoux, etc. Instead, they introduced many new climbs. Like the Vuelta a España, some of the climbs will be short-but-steep, and the mountain stages’ length are reduced. These short stages are probably inspired by Giro d’Italia and Vuelta a España – these grand tours have had many short mountain stages in the recent years, which were full of action from the start (remember the 118.5 km stage 15 of Vuelta 2016, where Contador and Quintana joined the breakaway where Froome got isolated and lost 2:37 to Quintana). 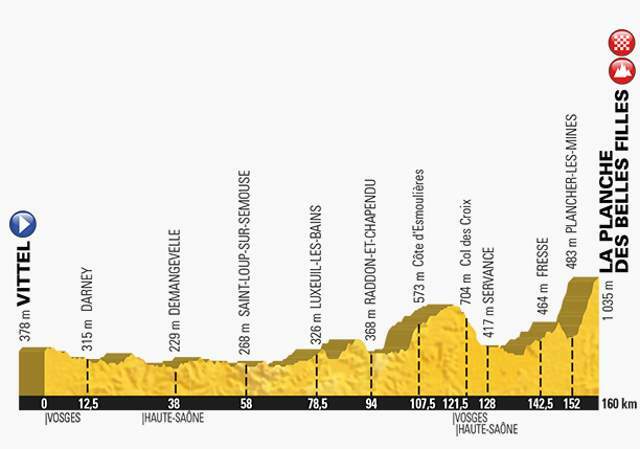 The shortest stage of last 30 editions of Tour (except the time trials and the prologues), the 13th stage between Saint-Girons and Foix, which is 100 km (62 mi) is another interesting aspect of this years’ race. There will be only four (or three? if we count the stage eight, four) mountaintop finishes. 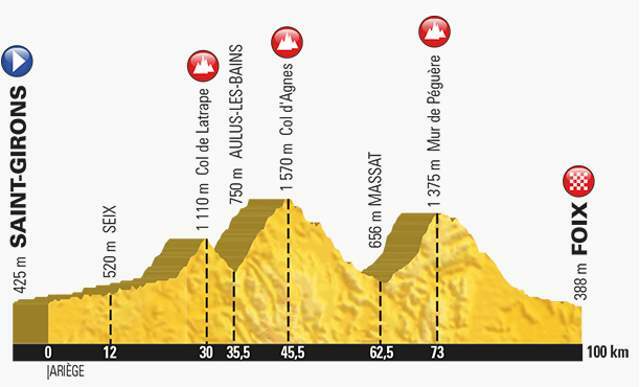 Many mountain stages are finishing with a long downhill and/or flat sections. 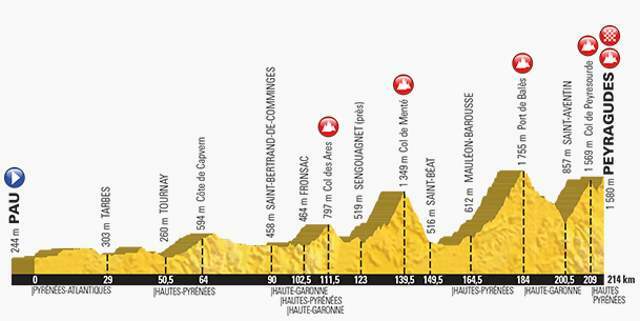 Thet first summit finish of the 2017 Tour de France. The climb is rather short however it’s extremely demanding, especially on the final part. The gradients indeed reach 20%. 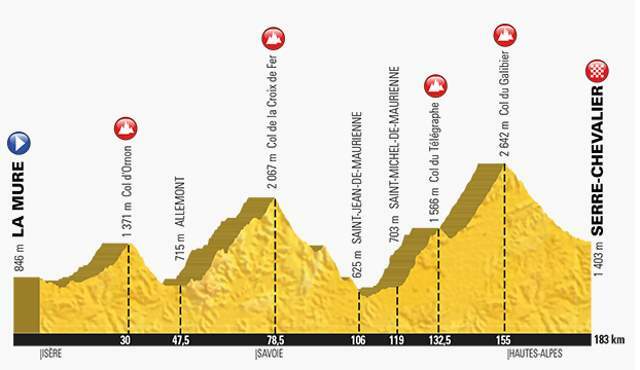 The last climb’s (Côte de la Combe de Laisia Les Molunes) summit is 11 km from the finish line. 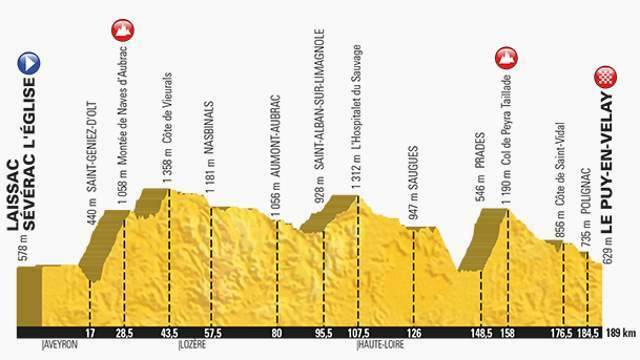 The longest Pyrenean stage of the race. As kilometers are covered, it’ll only get harder with the climb up to the Col de Menté, even more selective with the Port de Balès and will become a real agony for the legs in the new final climb to Peyragudes. In the final kilometer, on the runway of the only airport of the Pyrenees, will be a passage at 16% over a distance of 200 meters. Stage 13 is only 100 km, a short-but-tough which is inspired by the short, hard, full of action mountain stages of the Giro d’Italia and especially the Vuelta a España. The Col de Latrape followed by the Col d’Agnes and finally the Mur de Péguère and its gradients that can reach 18%. It is not a mountain stage but the journey through the Aubrac Plateau will be covered at an altitude of over 1000 meters during around fifty kilometers. Further away, the climb up to the Col de Peyra Taillade has gradients of 14% at some places. And that could certainly offer surprises when comes the time for a verdict in Le Puy-en-Velay. The Col du Galibier back after a 6-year absence. At 2,645 meters (8,678 ft), it is the ninth highest paved road in the Alps and the sixth highest mountain pass. It is often the highest point of the Tour de France. 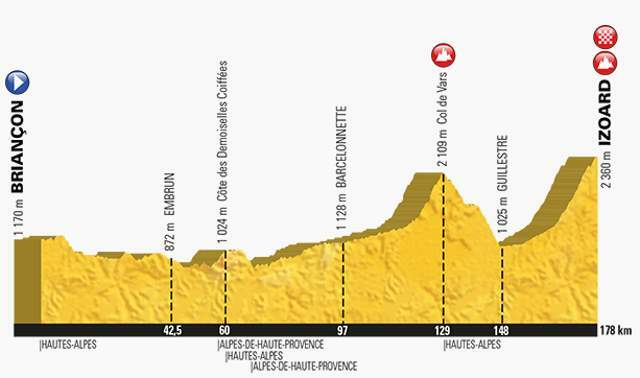 After the Galibier, there will be a 18 km fast downhill to the finish line. It’ll be the final battle between the climbers. The last ten kilomeres before the summit of the Izoard are at an average gradient of 9%.